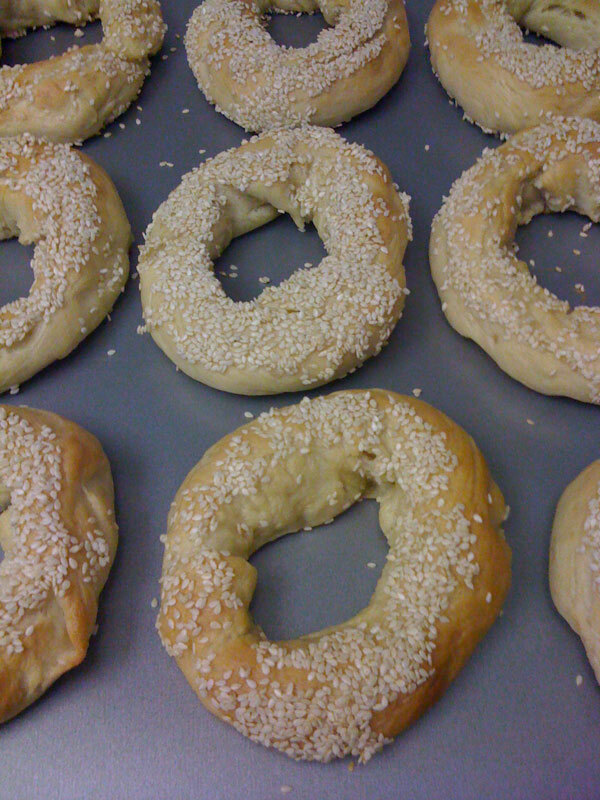 There truly is nothing like a Montreal bagel hot out of the oven. A definite favorite of mine. At least now I know where I can get them…..Francine’s bake shop in LA. Can you bring me a sample when you come over? That is absolutely amazing that you made bagels. I wouldn’t even dream of ever actually making them because I would be afraid of just tackling such a project! But you made it look easy. And it looked delicious! David found bagels in the frozen section of the market and asked if I wanted them. They’re the only bagels we’ve seen in Spain. But I declined because frozen bagels just seemed so unappetizing especially coming from NYC where the bagels were delicious. Congrats on your bagel accomplishment! Sara, it’s an involved process but definitely worth trying! 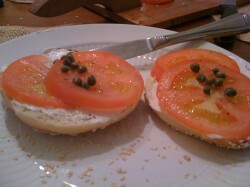 Or maybe convincing David to try… And it really wasn’t hard, as I got some really nice looking bagels on my first try. I think making New York style bagels takes a bit longer since they have to rise more, but I think they also have fewer ingredients (depending on what type you’re making). Were the frozen ones just regular frozen bagels or were they ones you were supposed to bake? In Budapest we finally found a place that sold bagels, but I think they baked them from frozen dough that they imported from France. They were ok, and it was nice to have a bit of a taste of home. They were just regular frozen bagels. Frozen dough imported from France would be much more appealing!